A broken pool can ruin a summer’s worth of fun. Our DFW pool repair services are priced to ensure that you can enjoy your pool while also having money to spend on other fun summer stuff. 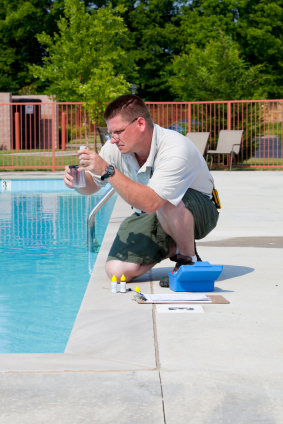 TriStar employs experts who have years of experience in diagnosing and fixing broken pools. It could be as simple as a faulty filter – or it could be something much more serious. We also have a team that can detect leaks in your pool or spa. A leak can have devastating effects not just on your property but also your monthly water bill. Depending on how bad your leak is, you might end up paying us less than you would pay in unnecessary water usage! If your pool or spa is working just fine, you should still have preventative maintenance performed on it to ensure it stays that way. A pool or spa is just like a car in that aspect. The better you take care of your equipment, the longer it will last. And it could save you from future costly repairs. Our preventative maintenance includes service on your pumps, motors, heaters, cleaners, control systems, timers, and more. If you have any questions about services or would like to schedule an appointment, please email us or call us at 817-301-4467. Ronnie and his crew at Tri Star have been fantastic! The pool had not been used for a while and needed some service. The re-plastering they did was perfect and the new filter and Polaris have been working great. The weekly maintenance they provide has made the pool worry free for me. They are so good at answering all my questions quickly and professionally. I highly recommend his company.